I downloaded this 4.9MB file from Google Code. QMMander is a free open source Windows Explorer alternative and it is pretty cool. It gives you a dual pane experience to relieve you from the pain of having to open two Explorer windows to drag and drop files between. But that’s not all – no sir re bob! QMMAnder is not a one hit wonder! You can also have two separate listing types going on at the same time. Qmmander is written in C++ and uses Qt, a cross-platform application and GUI framework from Nokia. The Google Code page says that the application is buggy but I have not run into any issues yet. 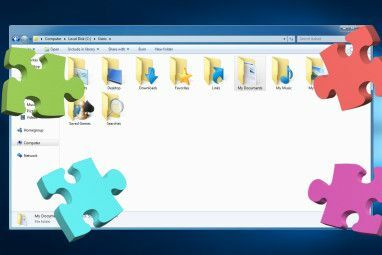 You can have one window preview showing a detail listing so you can sort by file size, while in the right pane you have big icons so you can easily recognize the file icons you are looking for. The software is also portable and can (should) be run from a USB or thumb drive. A person’s Explorer tells a lot about them. 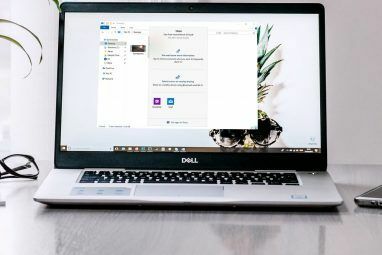 If you are using the built in Windows Explorer it shows that you do not like to tweak but if you are using something like this – it shows you think outside the box. That’s not just because I am a geek right? And that is my view! Wow I love it – the detailed listing on top and the tree view on the bottom. This Windows explorer alternative is very versatile and uses very little memory. What do you guys use for a file browser? 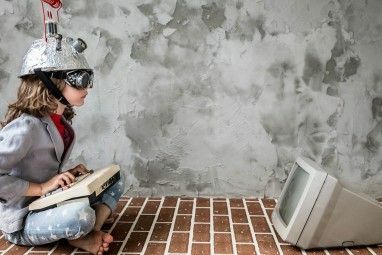 I know that Make Use of readers aren’t using Explorer – are you? We would love to hear about what you are using in the comments – so leave us a comment! Oh and if you do hit any bugs leave them in the comments as well so we can all bombard the author with them! :) Karl Gechlik over and out. Explore more about: Windows Explorer, Windows XP. qdir hasn't been mentioned. a handy stand alone app that's easy to use. Kind of ugly but cool. I definitely wish Windows had the dual window pane for easier copying. Since Windows 7 i have actually switched back to Explorer (from Ulta-Explorer). It does not have panes but i can push a few buttons and have 2 windows side by side. I still use Tc but only in rare occasions. Explorer is free, has a low memory footprint (:))) and can give you some cool PDF and multimedia previews. I use nexus5 file manager... it is great really. Has everything it should and is very customizable. I especially like when i make a new folder and it writes date in name by default. It is very useful for me because of my work. Off course it is dual paned and tabbed, supports archives, yadda yadda :) And the interface design is very pretty which is very important for me. @ffs Total Commander is very good too, but I arrived at Dopus via the Amiga, and won't change now :-) But they're pretty similar feature-wise, and certainly way beyond anything else I've tried. I would claim DOpus and Total Commander/Speed Commander are on par feature wise (TC *with* plug-ins of course). DOpus is just more trimmed to be used by mouse and not so much by keyboard while the Commander clones are optimized to be used be keyboard and thus are always more efficient (you can't beat the keyboard in 99% of the cases)..
Directory Opus here - nothing else comes even *remotely* close. xplorer2 is not a freeware and even the lite version can't be used in a 'commercial' environment. Just started using UltraExplorer (UE) and find it a great alternative. Only grouse is it uses a lot of memory. QMMander uses almost the same memory as UE, and doesn't have a lot of features. I'd vote for UE or ExplorerXP any day. QMMander is great. Just downloaded it and I'm impressed - the price of FREE is always nice. My only gripe is that I use UNC paths quite a bit, and QMMander doesn't allow me to type in a path. How do you go about installing this on a usb stick?